Growing up in Southeast Oklahoma, I spent most summer weekends water skiing on nearby lakes. 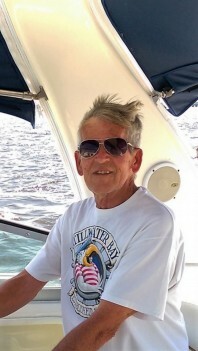 After graduating from Oklahoma State University, I joined the Air Force and spent the next 30+ years as a pilot flying all over the world and living in a variety of locations from South Texas to Michigan where boating became a weekly routine, whether on a small lake or cruising the Great Lakes. After my retirement from the Air Force, I went back to work for the Air Force as a civilian and spent nine years in Germany. When I retired as a civilian, my wife and I settled on the Mississippi Gulf Coast so we could continue our love of boating and traveling. Because boating has been such an important part of our life, I am anxious to help you find the perfect boat or RV to help you make wonderful memories of your own. Whether buying or selling a boat or RV I am here to help you any way I can. Give me a call and we can get started. If you would like to send Team a message, you can use the online form below. Alternatively, if you prefer to speak with Team right away, please dial Team's direct phone number above.